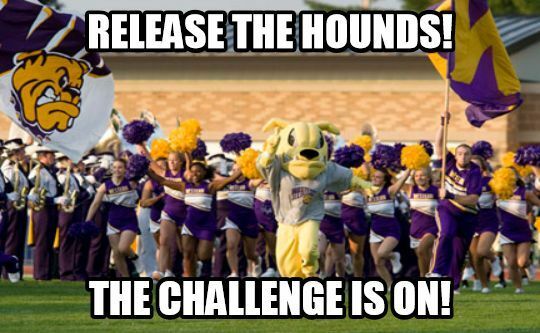 This campaign ended on April 25, 2018, but you can still make a gift to Western Illinois University by clicking here! Kathy Meyers gave $250 because $250 was donated in 1 day. The Western Challenge is ON! Today, we invite all Western Illinois University alumni, parents, faculty, staff, students and friends to unite in giving in support of our students during Purple and Gold Day! BE COUNTED. Make your gift. Gifts of any amount to any fund count! Be sure to take advantage of today's matching gift opportunities - or issue your own! AFTER YOU GIVE - ADVOCATE! Help spread the word with #LeathernecksGive and give your social media profile a Western Challenge makeover with our online toolkit. The more you share, the greater the impact you will have! Click on the "Advocates" tab above to become a #LeathernecksGive Advocate and be recognized for your efforts! Today is our day to be UNAPOLOGETICALLY PURPLE and display your #WIUPride!